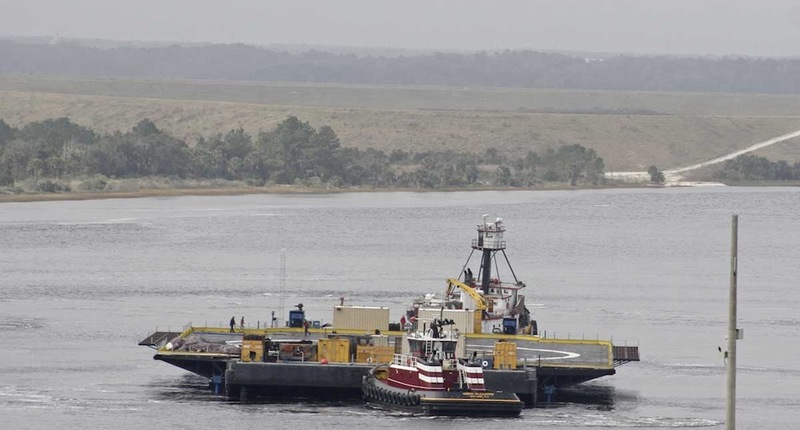 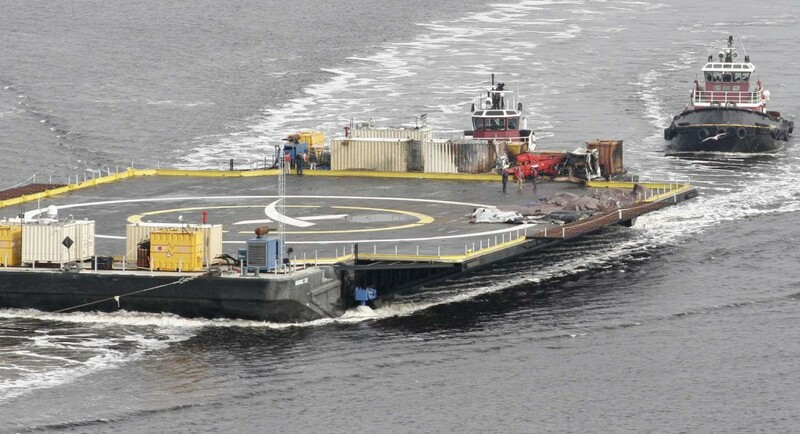 SpaceX’s ocean-going rocket landing pad — dubbed the autonomous spaceport drone ship — is back in port after a Falcon 9 rocket booster crashed on the platform during an experimental flyback maneuver following Saturday’s successful liftoff with supplies for the International Space Station. 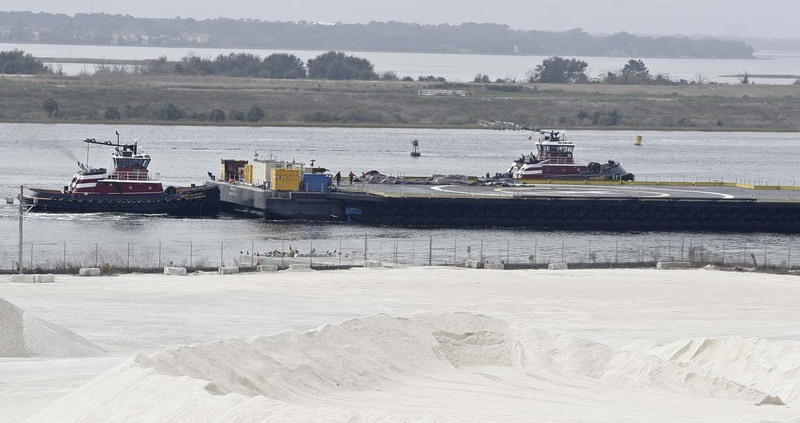 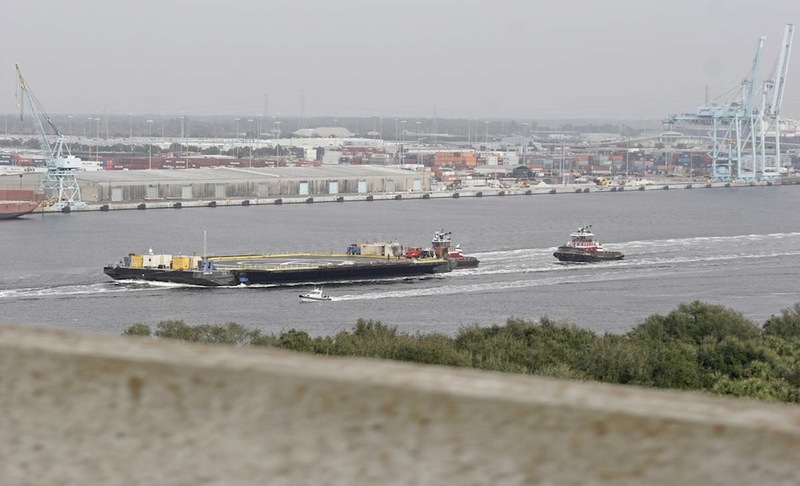 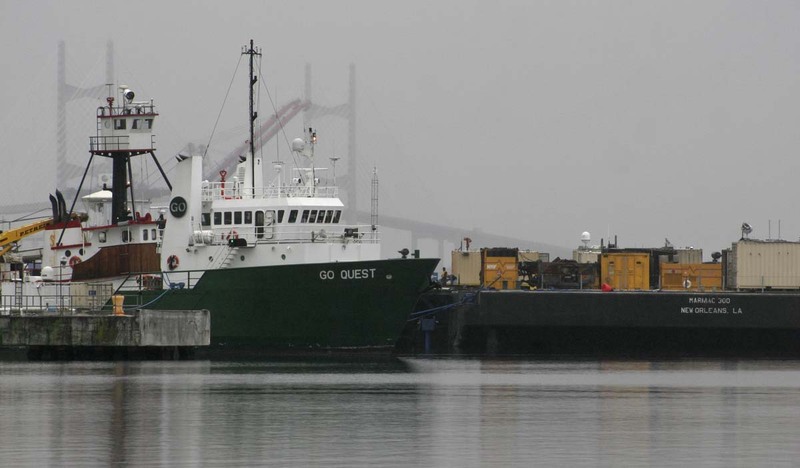 Under tow from a tugboat, the 300-foot-long Marmac 300 cargo barge arrived at the Port of Jacksonville in Florida on Sunday afternoon. The images below show it in the St. Johns River near Dames Point Bridge. 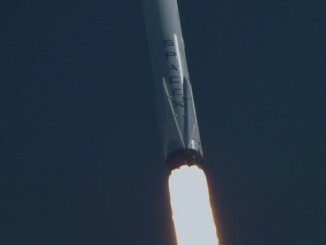 The first stage of SpaceX’s Falcon 9 rocket completed a series of maneuvers to fly back to the barge from the edge of space after sending a Dragon supply ship on its way to the International Space Station. 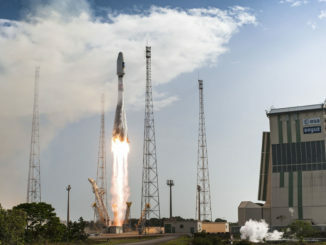 The mission lifted off from Cape Canaveral at 4:47 a.m. EST (0947 GMT) Saturday, with landing on the barge targeted less than 10 minutes later. 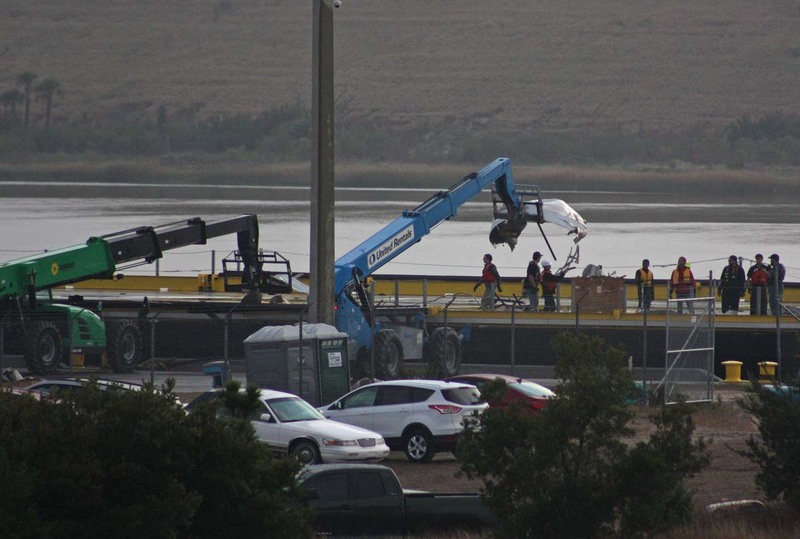 SpaceX founder and CEO Elon Musk tweeted the first stage booster reached the platform but landed hard, adding later that hydraulic fluid powering the rocket’s four aerodynamic stabilization fins apparently ran out on final descent. 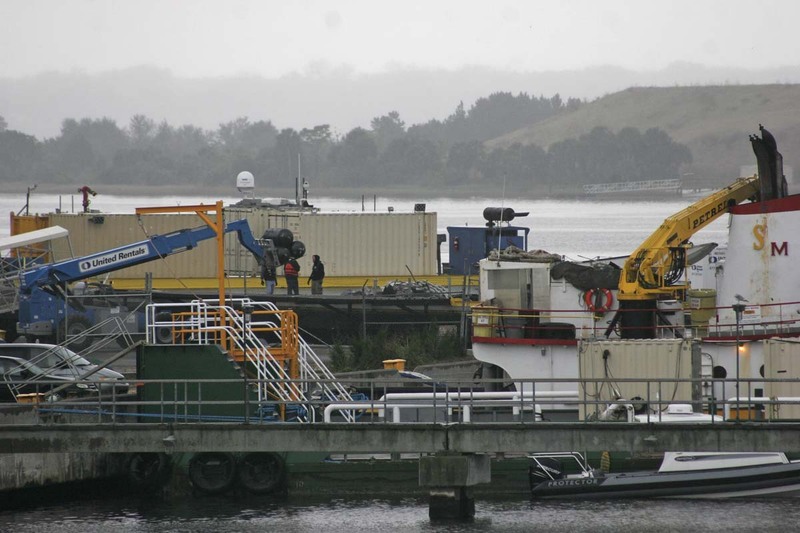 Engineers plan to add more hydraulic fluid to the rocket for an upcoming launch, which will try to perform the recovery experiment again. 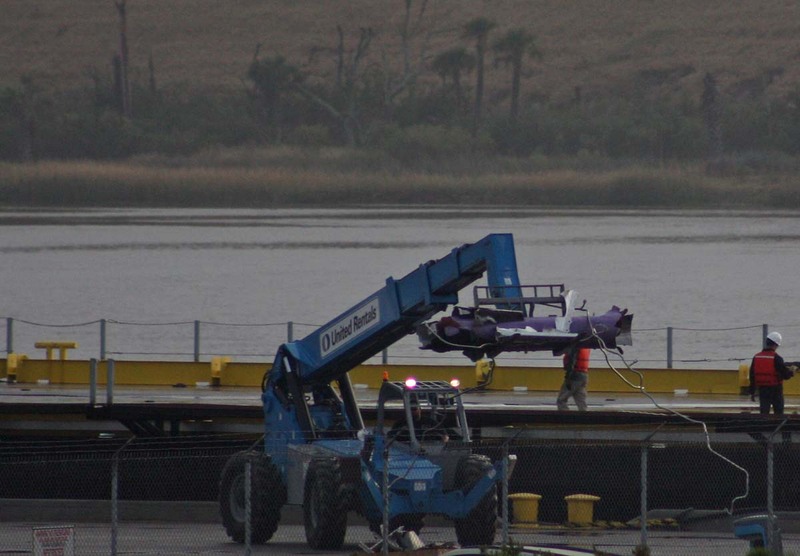 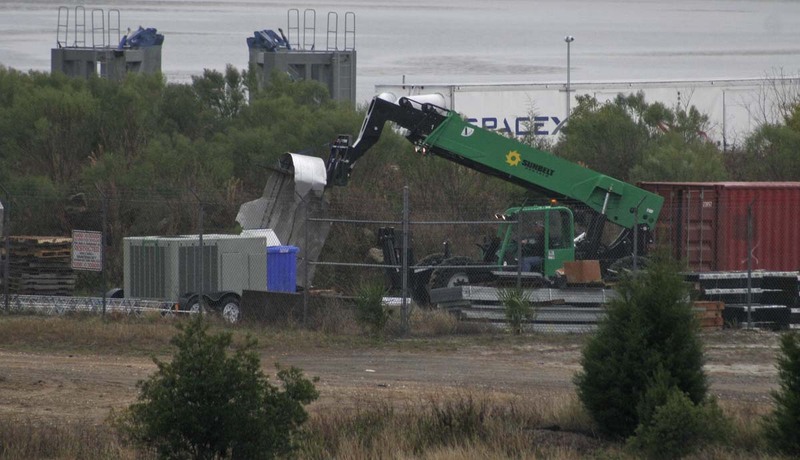 If SpaceX succeeds, engineers will inspect the rocket to see what work is required to refurbish for another flight. 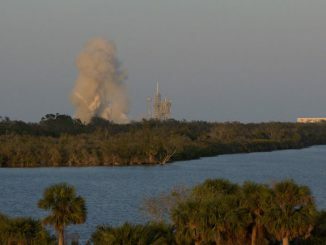 The ultimate goal is to make the Falcon 9 rocket reusable, an achievement SpaceX says would reduce the cost of space launches. 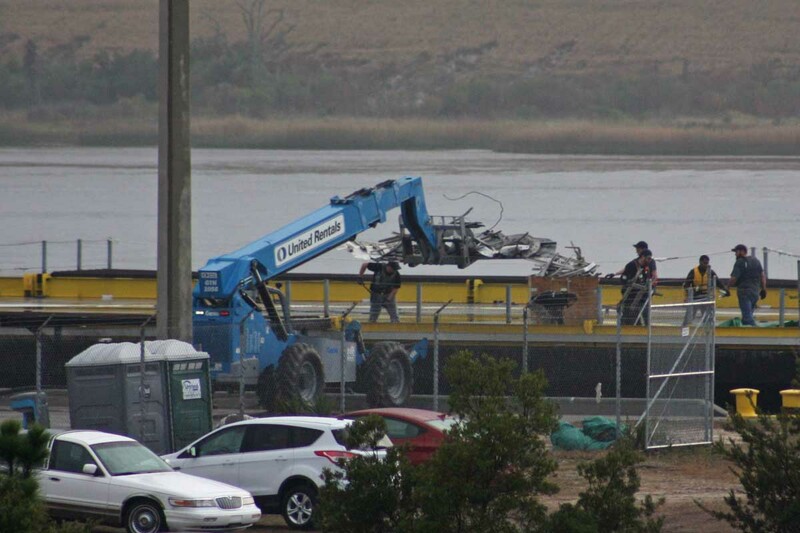 Photos of the barge show signs of blast and burn damage to cargo containers and possible wreckage from the rocket covered by tarps on the platform’s deck. 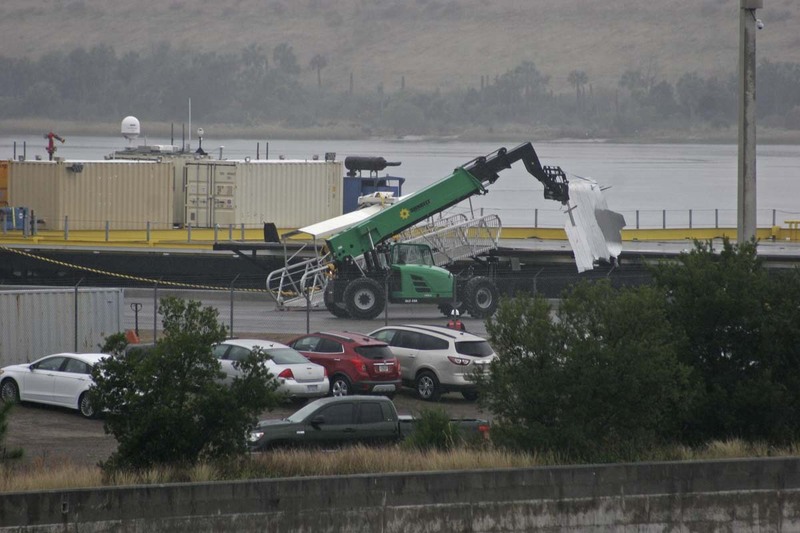 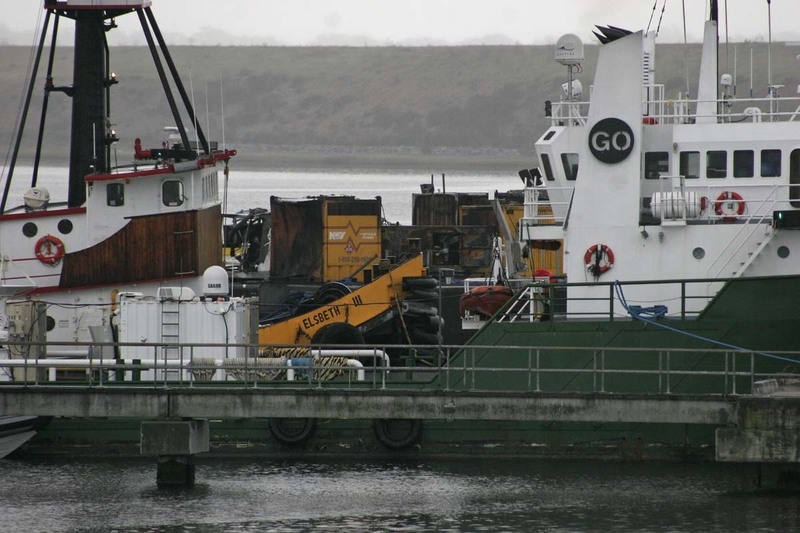 The rest of the vessel appeared undamaged.